Stephanie L. Pelley and Charley Torres saved a woman from drowning, Flatrock, Newfoundland and Labrador, November 9, 2015. 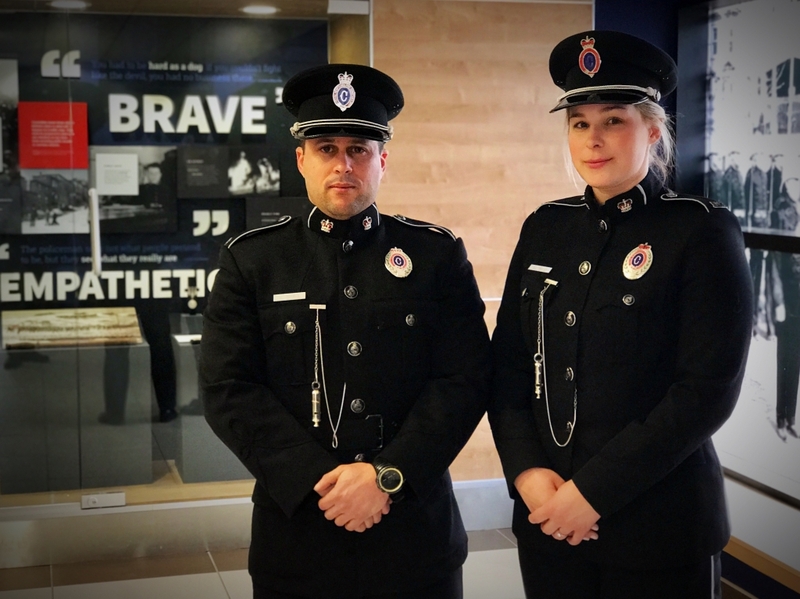 A distressed woman intentionally leapt, fully clothed, from a remote, rocky shoreline into a cove of the Atlantic Ocean as police officers, including Pelley, 25, who urged her not to enter the water, and Torres, 34, approached her. The woman called for help in frigid, deep water as she was carried from shore. Wearing her uniform, including bulletproof vest and duty belt, Pelley jumped into the ocean and swam toward the woman; she then returned to the water’s edge and removed the gear, which weighed her down. Torres, too, removed his vest and belt and jumped into the water. Torres swam to the woman, grasped her from behind as she clutched an exposed rock, and towed the woman toward the rocky shoreline. Pelley also grasped her, and as waves broke over Pelley and Torres at the shore’s edge, the woman resisted them. Ultimately, Pelley and Torres pulled the woman onto the slippery shore and away from the water. Medical personnel evaluated the woman, Pelley, and Torres, who were cold. They all recovered.